One of the most (if not the most) iconic guitar in Rock History, a very limited Fender Custom Shop production of 275 guitars worldwide and one of my most expensive guitars, one of the main jewels of my collection. 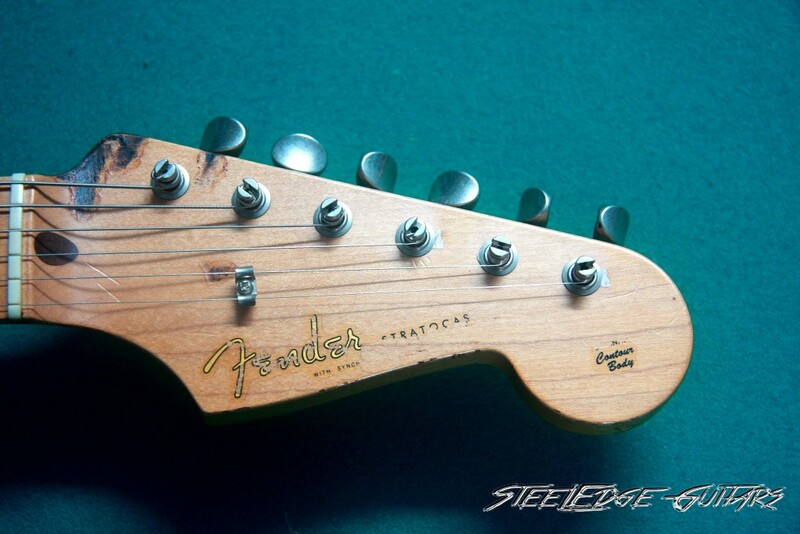 Best Stratocaster I´ve EVER played and the most exquisite Tribute Series from the Fender Custom Shop. This guitar is something I just can´t describe with words…. 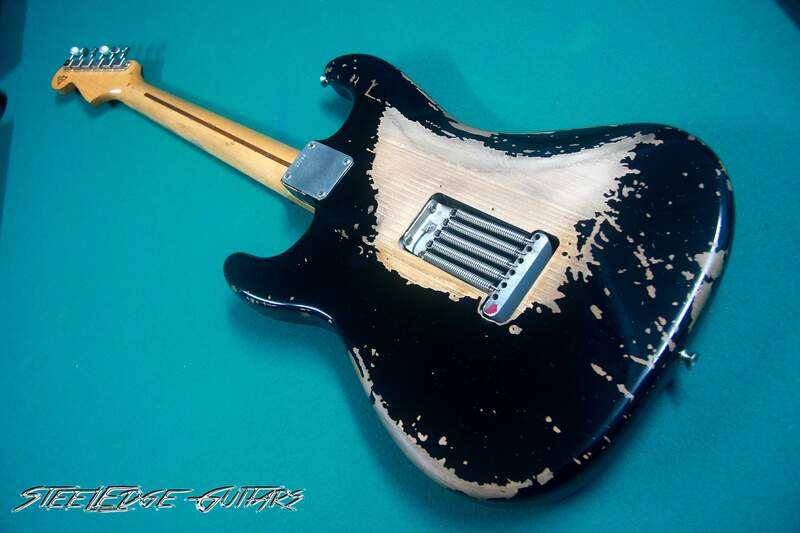 One of the 275 guitars that Fender produced in late 2006 and Masterbuilt by Chris Fleming, who is one of the best Senior Masterbuilders at the Fender Custom Shop. This Blackie Tribute was a very limited series which wasn´t at everyone´s reach, price list was $24.000 in USA and 24.000€ in Europe, but market price were $20.000 and 20.000€ .185 went to the USA market and were sold in a record time of 7 hours thru Guitar Center. In Europe they were also sold very fast, though I know of some unit that were bought by a shop owners and that is for sale now in that same shop. This guitar is an EXACT reproduction of the mystic Eric Clapton´s “Blackie” which was auctioned at Christie´s in the world famous Crossroads Auction, where other very well known Clapton´s guitar were sold tryin´to raise funds for the Crossroads Center. Blackie fetched a record price of $959.500, being the MOST EXPENSIVE GUITAR EVER SOLD. 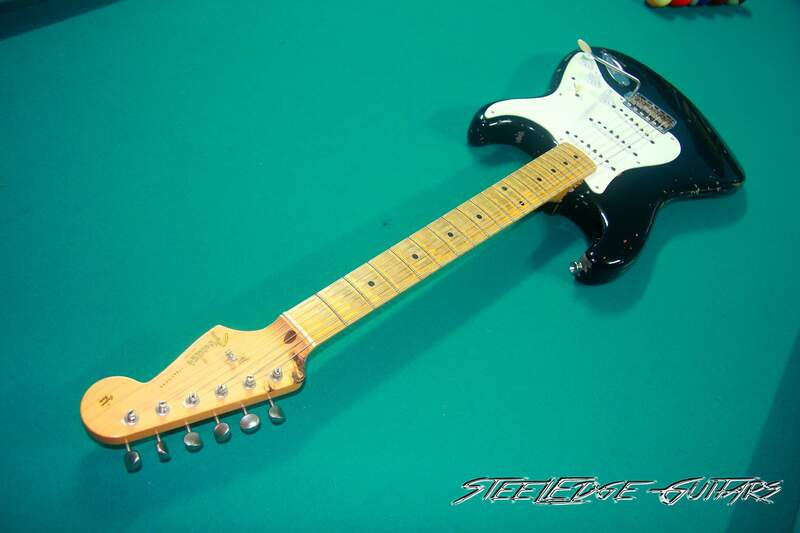 In my trips to the States I´ve had the chance of visiting a lot of guitar shops and try a lot of Custom Shop and vintage stuff, all kind,$5000, $25.000, $40.000 and even a $68.000 price tag ´62 all original Stratocaster. I liked some more than others, and they really had some mojo and is a pleasure to know that you have a true vintage in your hands….but I can tell that no one ever sounded and played to me like my Blackie does. Maybe is suggestion or whatever you want to call it, but as today, is my firm opinion based in my criteria and experience trying´ guitars. 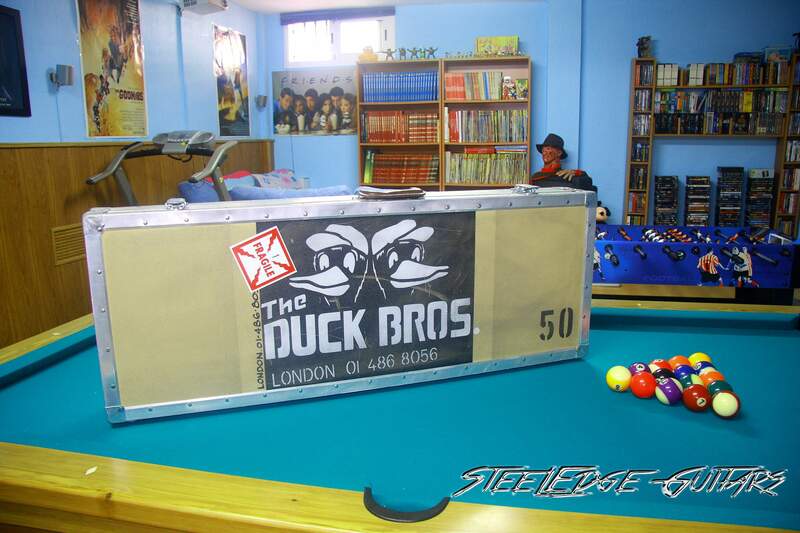 The guitar comes in an Anvil Flight case that faithfully reproduces the original one, with the Duck Bros logo, the phone number hand written and all the stuff that originally was in the flight case. Solid as a rock and HEAVY! The guitar comes with a Fender Custom Shop Certificate of Authenticity signed by Eric Clapton and another Fender Custom Shop Certificate signed by the Masterbuilder. 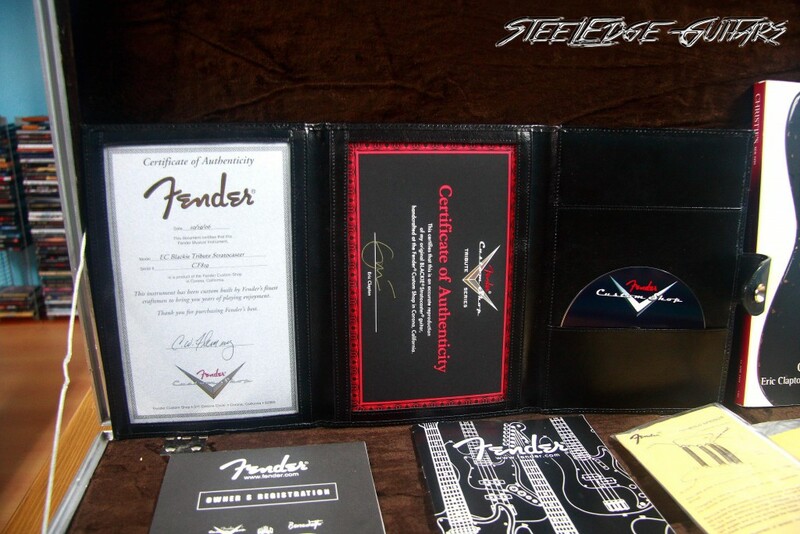 The case candy includes a DVD which has some footage about how the guitar was made, interviews, etc, everything inside a beautiful leather big wallet. 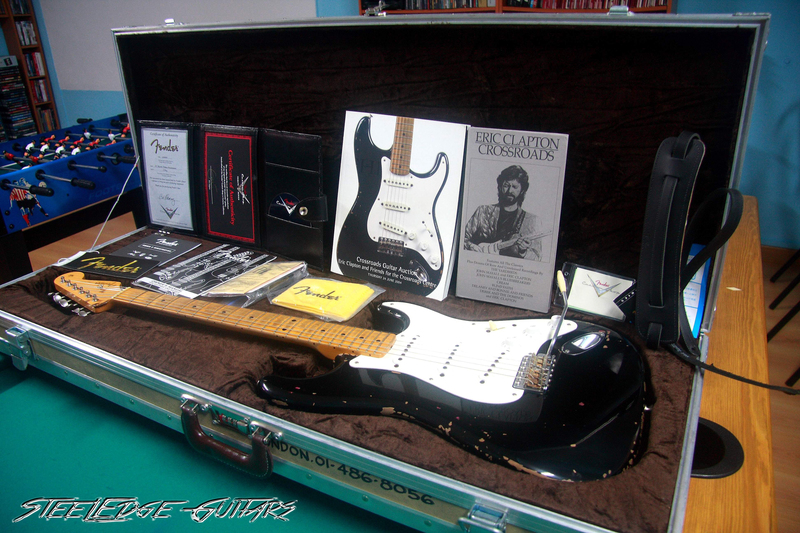 Also includes a copy of the original Christie´s Auction Catalog which is pretty cool and with a lot of pics, Clapton´s “Crossroads” CD Box Set, Custom Shop tag, deluxe leather strap, instruction manual, ashtray bridge cover, registry warranty card, a Fender cloth and all the Custom Shop Masterbuilts stuff. Originally, also included a “Crossroads Center” brochure which was missing in this one, no big deal anyway, could get one in internet and I´ll probably do. 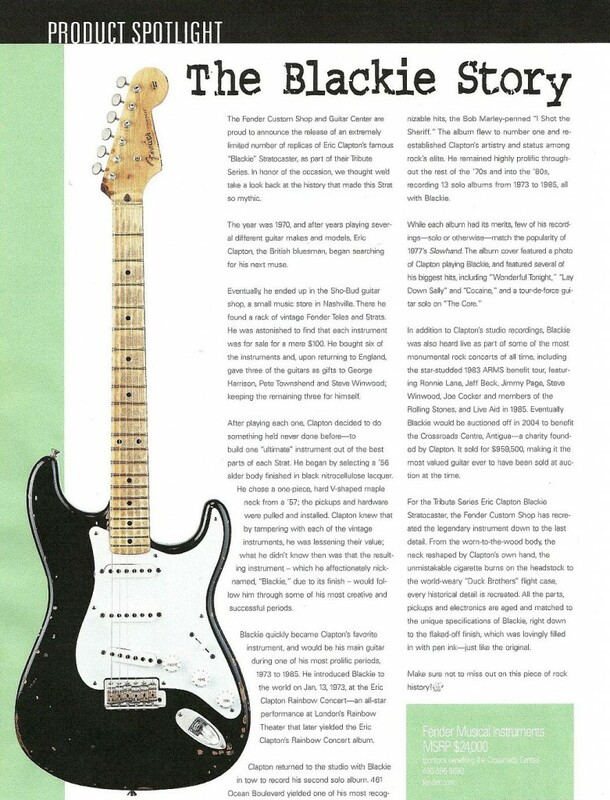 When you open the case for the first time, is SO IMPRESSIVE!….here she is, Blackie, the guitar that you have seen hundreds of times in the record covers, in photographs, in magazines…. When you hold her up, you can feel is very light, 7.7lbs in my digital .The feeling of the neck is awesome, feels like an old nice used guitar, very smooth. The guitar originally came with a perfect setup, and the original owner told me that she was only played for 5 minutes, just for inspection purposes. 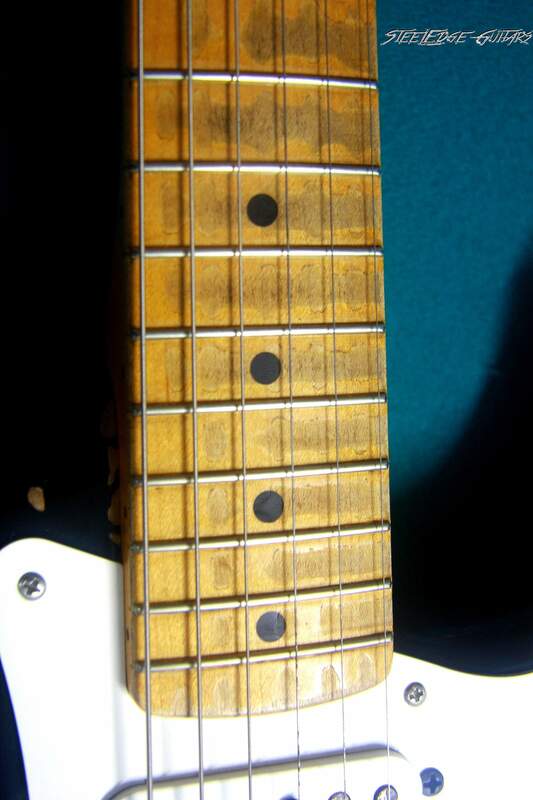 The neck is more C shaped and less V shaped than a regular Clapton Custom Shop Signature neck, and is an exact reproduction of the original Blackie neck, including all the years of Clapton´s hand playing over it, scars, cigarette burn in the headstock, etc. If you play the guitar unplugged, she already sounds BEAUTIFUL, giving great resonance and projection of the sound, is almost like she were a semi hollow body guitar, very “sin song” sounding. As every good guitar, you can feel her vibrating when you play unplugged, and this one, by far, promises good sound as no one does! I believe that the quality of the woods used on these guitars are outstanding, as well as is the craftsmanship. 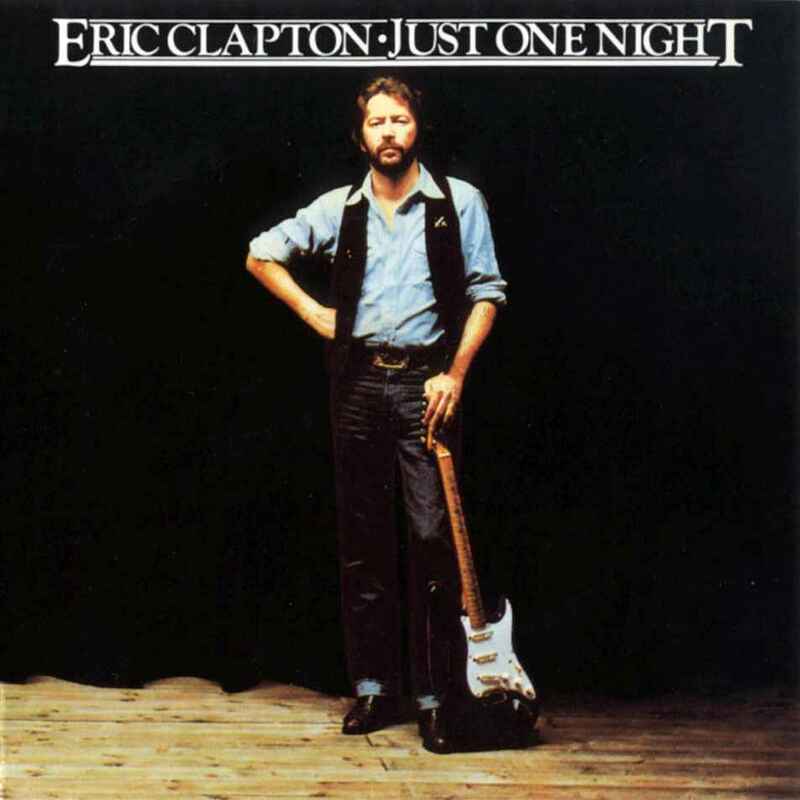 You can feel it clearly playing unplugged, but if you plug her to a good amp….OMG!…excuse me but I can´t be objective….is just AMAZING, the sound, the feeling, the playability, the mojo….first time I played her was hooked for HOURS, just couldn´t unplug, it was a magical feeling. 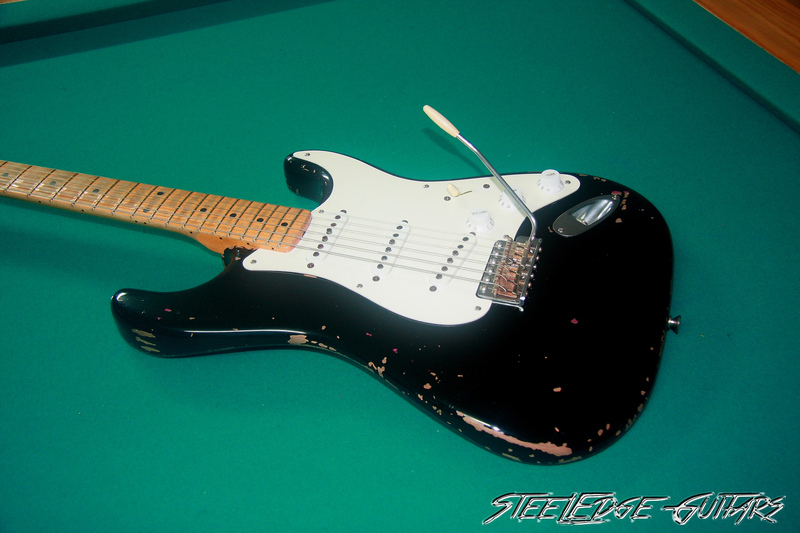 It was like “here she is, Blackie, in my hands…and I´m PLAYING her!!! Andwhat I´m hearing…that COOL sound…that´s ME!!! The Relic is just out of this world, is SO detailed…..the wasted fretboard, the rust in the bridge, that famous cigarette burn in the headstock, the frets look and feel, the smooth as silk neck….everything points to a very high level in the craftsmanship from the Masterbuilder. Due to the Price tag, you couldn´t expect anything less. The clean sound of the guitar is that classic Strat sound, but very equilibrated, sometimes even fat sounding comparing to a classic Strat (to my 50th Anniversary 1954 Masterbuilt, for example). Has that belly / twangy sound, with warm distinctive mids, but the highs are not so squeaky, they are very nice to the ear. Playing arpeggios or blues riffs you get a glorious sound…is like the sound gets spread wide away, can´t really describe with words. A friend of mine who is not a guitar player defined the sound, comparing to my other Strats like more “stereo” LOL.Not the best definition, but you can get the picture. Is a guitar that, even to the no expert ear, is very attractive because of his sound…and of course her look get in through your eyes instantly! She has a very wide dynamic range, and with the 5 position switch you can go from the sweet fat sound of the neck pickup, thru the twangy sound of the middle pickup, the classic and beloved Strat sound of the middle/bridge pickup and the singing highs of the bridge pickup. Very musical to the ear, wide dynamic range, lot of harmonics, very percussive in rhythm….just can´t describe how good it sound with words, believe me, you have to hear and feel her. My favorite sound is a light overdrive, neck pickup, tone knob at 8 and some warm reverb. 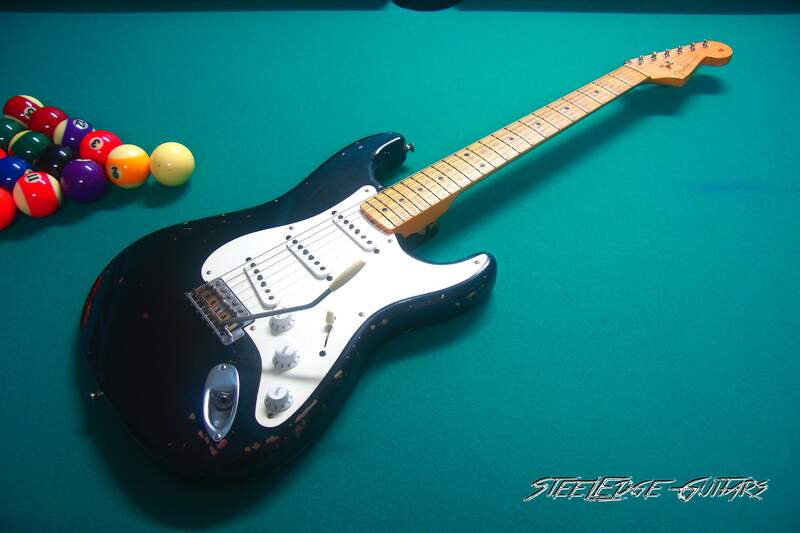 You play a solo with that sound and that is the sound that I always had in my head when I think of a Stratocaster, the one I was always searching for.Then, you can use any other position and add overdrive, or play Layla, or some chorus and go to Wonderful Tonight, or go nuts playing the Cocaine riff….I LOVE THIS GUITAR!!!! She is one of my favorites of my entire collection, and is a pride and a privilege to own her. 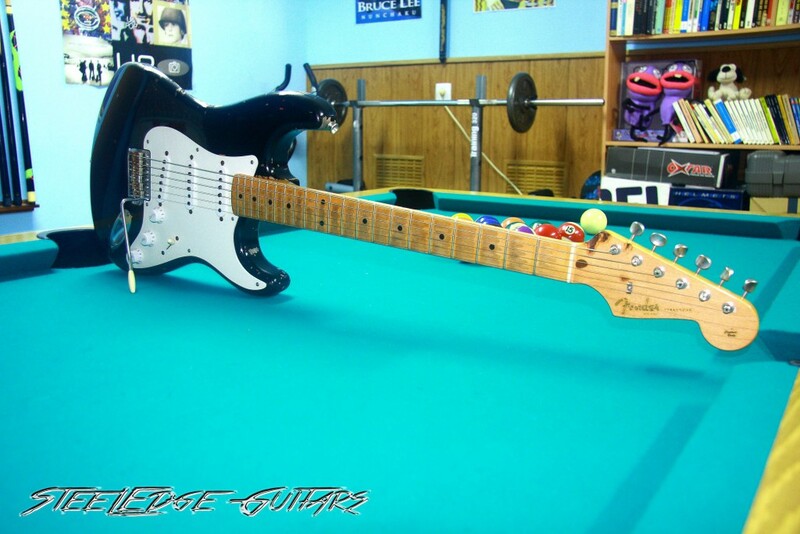 I had to sacrifice 4 guitars that I really loved and a Blackface Conford MK50H…but believe, Blackie was worth it!!! After lot of years dreaming with this guitar, is finally in my hands. 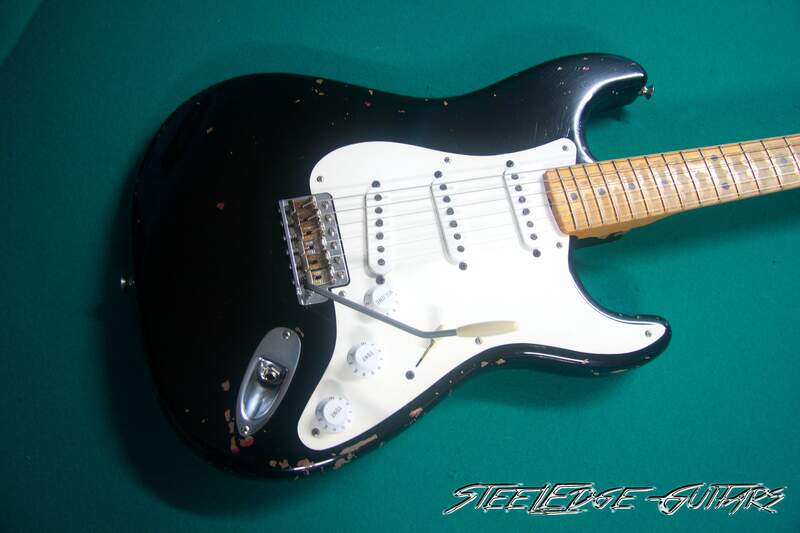 The story after how did I get Blackie is also “rocambolesque”: While I was searching guitars on eBay (yes, you can believe I do that often) I saw a Blackie for which looked a very good price, 11.000 british pounds, like $17.000 dollars (never had seen one under $18000 before) and also, was in UK, near of Spain where I live, so I wouldn´t have to deal with customs and pay importation taxes. 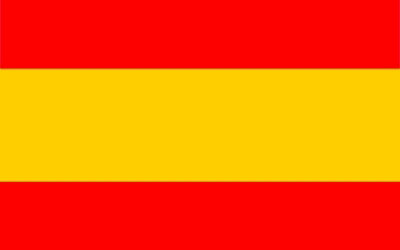 I contacted the seller asking which would be his last price, and said that , as a special offer, he would sell for 10.500 pounds (which by the time was like 13.000 Euros / $16.000 dollars) .I also asked if he was open to partial trades. While we were dealing and I was trying to sell some guitars to get the cash, some guy saw the guitar, and as the price was more than good, paid the seller asking price, 11.000 pounds, and I was left out. I was lucky enough that, within months, I saw another Blackie in eBay USA, which was very weird because they didn´t show up so often, but…..the seller as 0 votes, no feedback and the price was very good, even suspiciously good. Even a little better than the UK Blackie price. Too much risky, I thought, and forgot about it. Due to the same reasons explained, no one bids, and the auction ends. 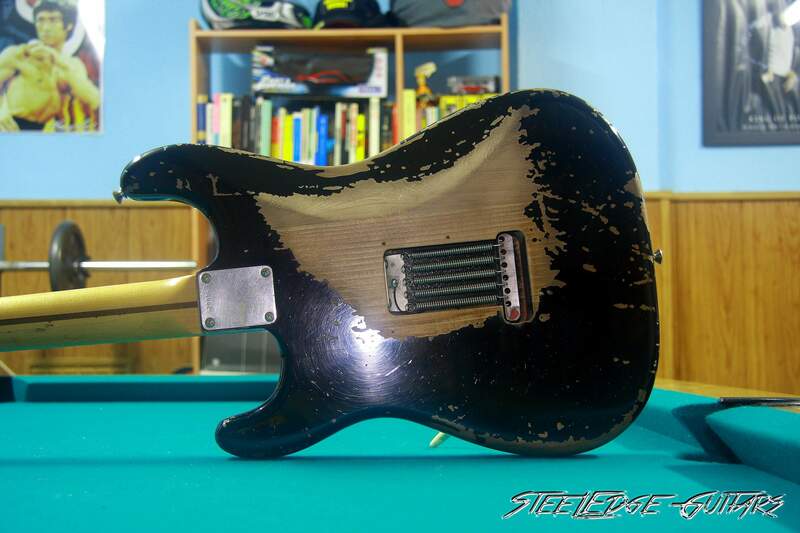 Just out of curiosity, I try to contact the seller and get some info about the guitar and who was selling, etc. Who knows…maybe the seller is trustable and…. even has the guitar! 😉 I quickly contacted the seller, who was located in California, and started to Exchange emails. The seller was a woman named Kathi, who was very kind and attended to all my requirements of info, pics, etc. She told me that she wasn´t a guitar player, neither a collector, he got the guitar as part of the divorce agreement with her ex-husband, who bought it from Guitar Center. Her ex-husband was a collector, and she knew about the value of Blackie and kept as part of the divorce agreement, having his new boyfriend Mario selling the guitar for her on eBay. Sincerely, this looked to me as a big load of BS…..but she was so kind and educated. I asked if there was any possibility of having the guitar sent to Spain and pay after inspection, but obviously she said no. I gave them all my references, ID, forum feedbacks…but they still said no, but, as they saw that I was really interested, they gave me a phone number so I can personally could speak with Mario, and have as many security measures needed for completing the transaction. I wouldn´t take that kind of risk again sincerely, but if you really want something, you have to expose something for it, so…I sent the wire and crossed my fingers.I had the most nervous 2 week of my “guitar collector life” life, waiting for the guitar to come. But fortunately, Blackie was delivered in perfect conditions, making the whole transaction a perfect, flawless deal, for which I´m still very happy. As an anecdote, I was forced to sell this guitar because of some economical uncertainty (more for caution than for a real problem, but anyway….) .I sold her, with all the pain of my heart, to a good friend. I always regretted doing that, every time I saw her in my friend´s pics, or even saw another Blackie on the internet, something punched me on the stomach. But, after 4 years, I had the chance of getting her back, and I didn´t hesitate for a second, drove my car for more than 8 hours with my cousin (thanks buddy!) and got her back home. She was just as I sold her, as far as my friend is a collector and doesn´t even play guitar, he really plays piano and keyboards, which he also collects.When I opened the case at home, it was like running into an old love…Old Love….. This guitar will be with me forever (or at least, that´s what I hope!). Owning this Holy Grail of Guitars is a true privilege. I guess this guitar will be a good investment in the near future, though as I said, I don´t think of ever selling her again., for me is a piece of rock and music history, and one of the best guitars ever made .Having her in my studio and have the chance of playing her, or record a track with her, or simply look at her, is something that, for me, money just can´t buy.